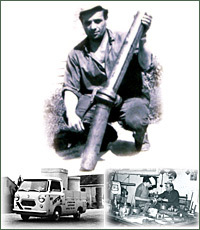 OMV was founded in 1955 with the name “Anfor” di Vezzani & Benatti. From its founding, the company is dedicated to the production and sale of steel fittings, clamps, and zootechnical equipment. In 1966, the company took on its current name and trademark, while over the course of the years it has strengthened its continual development thanks to an increasing widespread expansion both on the national and international market. Today, the company exports to 50 countries around the world and takes part in important trade fair events both at home and abroad. Our sales turnover achieved over the last few years by our three divisions: zootechnical, irrigation, accessories. A perfect design only stems from reliable knowledge acquired with years of experience “in the field”. The team of designers at OMV consists of expert professionals with a perfect understanding of the problems arising in the zootechnical and irrigation sectors. Capable, therefore of creating an ideal habitat for every kind of farming, as well as ball joints and accessories for irrigation and drainage. With the operative capacity of OMV, each realisation grows in the times planned, more quickly, without any misunderstandings and with a lot less stress for the customer. Together with the design, supply, and assembly of the structures, OMV offers a series of services ranging from helping with choice, negotiating a supply of support, and supervising the works or the “turnkey” delivery of the entire manufactured product. 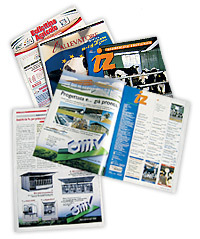 Consortium of manufacturers of zootechnical equipment and systems. Metallic structures for building stalls, haybarns, barns, Resting stall dividers, Automatic cattle yokes, Cleaning systems, Storage and treatment of effluents, Various equipment, Cages and cubicles for calves, bale holders, free stabling cattlesheds and fixed cattlesheds. Ball joints, Pipe unions, Wellpoint systems, Galvanised collectors, Piping, Curves, Stoppers, etc. 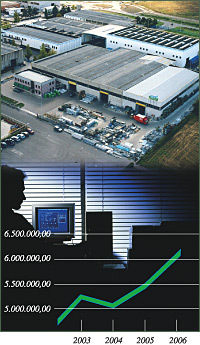 Vast range for the construction of metallic tube structures, greenhouses and DIY quick assemble-disassemble buildings. Competition on all the markets, national and international, has taught us how to speak with dealers and distributors with the best efficiency. The customer is never left alone, but can count on the answer of an expert engineer regarding any kind of problem. Thanks to an ever-present marketing team at exhibitions, OMV is well known and appreciated in every corner of the world. Contributing to our high reputation, we make various announcements in the industry’s leading journals as well as an ongoing contribution by editors ever ready to highlight our company news and events. Finally, the OMV web-site is an important information and dialogue platform with its entire user public.